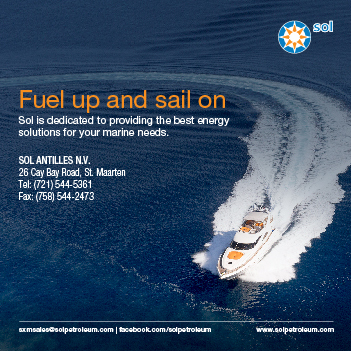 Yacht Assistance is a division of ‘Caribbean Network Intl. Ltd’, ‘No Limits Charters n.v.’ and ‘Maritime Services & Training’ with head offices in Marina Royale in Marigot, St.Martin. With offices and / or agents in many Caribbean Islands as well as in Europe they have provided complete ship agent services to yachts, Megayachts and Superyachts, Tall Ships and small Cruise Ships for over 25 years. Offering a "One Stop" contact service here throughout the Caribbean, Captains of Megayachts and sail training vessels spoke very highly of the full range of yacht support services provided by Yacht Assistance… not only in St.Martin but throughout all the Islands. Dedicated to providing the most efficient and effective services to their clients and guests, Yacht Assistance can arrange everything from golf reservations to airline tickets, helicopter or executive jet charters, event tickets or location scouting, spare parts shipping, boat repairs, Visa applications to Harley Davidson rentals, custom and immigration clearing, Scuba diving lessons or crew courses, tax-free fuel and more. They also have several tenders and RIB’s for rent and provide full support during regattas like the St.Barth’s Bucket, Heineken, Antigua Classics, Voiles de Saint Barth and more. Yacht Assistance is one of the specialist in provisioning, flying in meat, fish and vegetables almost daily from Europe and the USA and supplying local products at the best rates. They provide marina delivery with their refrigerated truck and “on board” deliveries with tenders. The following testimonials from a cross section of their recent clientele tell the story well: “I found the perfect service for us and our special guests on board thanks to you and your wonderful team” - as quoted by the Captain of an 88.5m Megayacht visiting St.Martin last season. And the Captain of a 59m ‘Explorer’ Superyacht told us: “Jan and Veerle are extremely friendly and efficient – they can assist with every detail of a yacht’s visit.” And as the Captain of a trans global sail training Tall Ship told us: “The whole set up was great, from the docking advise, assistance with immigration and clearance, provisioning, water bunkering, crew services, guest transfers and all the press release work too… they handled all our needs with efficiency.” He also made a grateful reference to the fact that Yacht Assistance provide their full range of services free of charge to the Caribbean Sail Training Association’s Tall Ships visiting the Caribbean.